Prinsburg is a small town where big things happen. 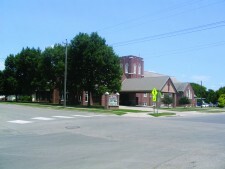 The town is home to a number of businesses including Central Minnesota Christian School, a K-12 school founded in 1911. Prinsburg boasts a bank, water management company, general contracting company, fire station, gas station and many other businesses. This close-knit community where faith and family are very important, has an Annual 4th of July Celebration which features a worship service, dinner, silent auction, kids carnival, trapshooting, tractor pulls, parade and fireworks.